Different animals get different diseases but sometimes they can spread from species to species. When a disease spreads from a pet to a human or vice versa it is called a zoonotic disease. If you have certain types of illnesses, it is possible that you may pass the sickness on to your pet. People "catch" ​the cold on a regular basis but what exactly are we catching? The cold is really a virus, usually the rhinovirus, coronavirus, respiratory syncytial virus, or parainfluenza virus. These viruses are not contracted from being out in the cold or getting wet, despite the popular misconception, rather they are contracted from someone else that is sick. You will be more prone to getting the cold if you are tired, stressed, or have allergies. 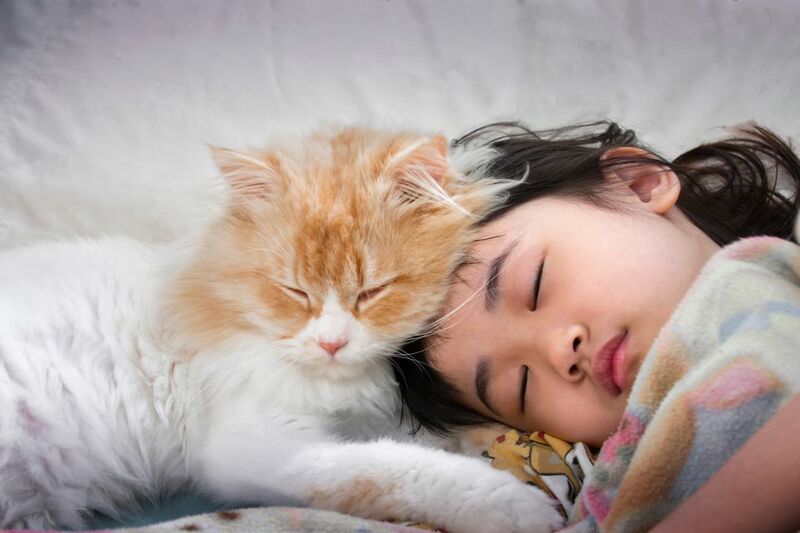 According to the Ontario Veterinary College a cat may be able to catch your cold depending on what kind of virus it is (although it does not commonly occur), but a dog cannot. Exotic cats such as bengals are included in this list of susceptible species but your exotic canines, including foxes and wolfdogs, will be just fine. Ferrets are another species that cannot catch your cold but they can catch the flu from you if you have it. It is always advised to wash your hands before and after handling your pet but it is pretty unlikely that your pet will catch your cold. Ringworm can be given to many different kinds of exotic pets from their humans. Exotic cats, foxes, ferrets, guinea pigs, rabbits, pot bellied pigs, birds, mice, rats, hamsters, gerbils, chinchillas, and other pets. Ringworm isn't actually a worm but rather a fungal infection that infects the skin of humans and pets. Just because the common cold can't be passed to your exotic pet (except perhaps a cat) doesn't mean that they can't cough and sneeze for other reasons. Similar symptoms of the cold may show up in a pet that isn't the cold but may be influenza, bordatella, or another type of respiratory infection. None of these symptoms or diseases should be ignored though. We may not always seek medical treatment for our sniffles but if your exotic pet starts to act like they've caught a cold you should definitely get them to an exotic pet veterinarian near you and keep them warm. Radiographs (x-rays), bacterial cultures, cytology, or other testing may be recommended but antibiotics are most likely needed.